Realizing Mistakes Is A Part Of Becoming Rich. Did you know that rich people make mistakes? It’s true. I don’t know of any person that has become rich without making some mistakes. You see the issue is, most people don’t become rich because they are afraid to take a chance into doing something new. 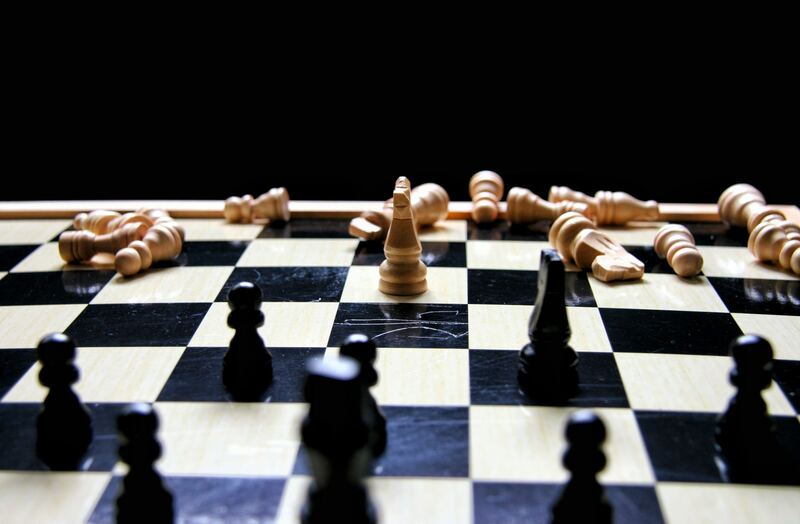 They want to “play it safe.” They say “What if I try it and I fail?” What if you do try it and fail? So what. Many rich people have tried and failed. They just didn’t give up. They tried, they failed, they adjusted, and tried again; until they made it. You should too. I happen to currently work for the largest Cable company in the USA and I’ve seen them make plenty of mistakes. Over the years I’ve seen them launch new products and services and I’ve seen them crash and burn. Did they fold up shop and quit? No! They just tried something else, until they found something that was a hit! BOOM! As a matter of fact, I’ve seen from the inside them improving their service all the time. Adjustments after adjustments. Why? They want to get it where it runs better and better. They also have to be on the cutting edge otherwise the competition will get ahead of them and they will lose ground. Always hustling. Pushing us to upsell, making new goals for sales. Advertising on radio and TV. Mailers. You name it, they got their name out there. That’s what it takes to become rich and stay rich. You never quit, even when you blow it. You just readjust and go for it again with all you got! Give it all you got and don’t let up! Let’s also talk about the “No.” You must not take no for an answer. 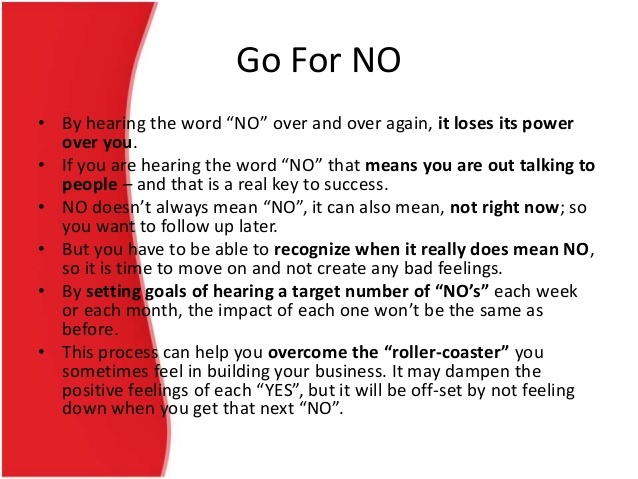 There’s a great book called “Go For No!” By Richard Fenton (Author, Narrator), Andrea Waltz (Author). I highly recommend the book and audio CD. You have to go through mistakes and no’s to get to success. There is no other way around it. Consider what is written here and start by taking action. I hope this blog post has helped you. If it has, please comment and share it with someone that you think can benefit also. This entry was posted in Rich You and tagged adjusting after a mistake, getting past the no, go for no, learning from your mistakes, making mistakes. Bookmark the permalink.